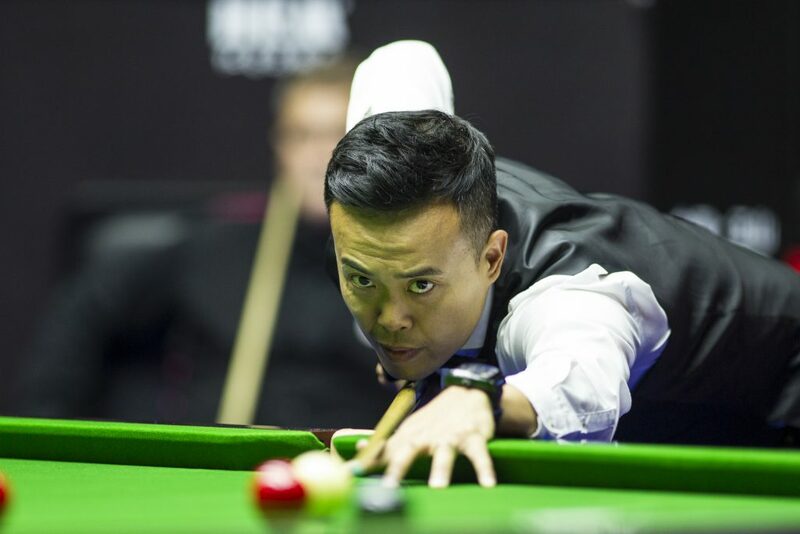 Marco Fu’s return to form continued as he fired two centuries and four more breaks over 50 in a 5-2 win over Robert Milkins at the Hong Rui Ma Yushan World Open. Earlier this year, Fu was diagnosed with retinal degeneration and had laser eye treatment to correct the problem. He then took several months away from the tour in order to recover, returning at the World Championship where he lost in the first round. The 40-year-old from Hong Kong now looks to be getting back to his best, having played some tremendous snooker so far this season. Runs of 78, 118, 58, 103, 93 and 96 today helped him into the quarter-finals, where he will face David Gilbert. Victory in that match would get Fu back into the world’s top 16 and earn him a place in next month’s Shanghai Masters, which has become a lucrative invitation event. For the latest on that race click here. “I’m very happy,” said three-time ranking event winner Fu. “I missed playing while I took time off last season so during the summer I worked hard on my game. Everything seems to be improving. It is not 100% yet but I am getting there. “My retina problem is gone but I still see floating black spots when the light is bright. It doesn’t affect my snooker too much, it’s in my mind more than anything. Sometimes when I practise I wonder whether I should keep going or give myself a rest. Hopefully time will take care of it. “Actually I was quite happy to be able to take a break from snooker. I spent a lot of quality time with my friends and family, which is hard to do when you are travelling a lot. But now I am feeling fresh and hopefully the break will pay off in the end. I’m just happy now to see my game improve and make progress. Gilbert scored a 5-3 win over Ricky Walden with a top break of 82 and now has the chance to reach what would be the second ranking event semi-final of his career. World number seven Barry Hawkins edged out Matthew Selt 5-4. China Open finalist Hawkins built a 4-1 lead with top breaks of 82 and 71, then Selt recovered to 4-4. A run of 51 helped Hawkins win the decider. He now meets Gary Wilson, who followed up yesterday’s win over Judd Trump by beating Fergal O’Brien 5-2. Wilson knocked in runs of 54, 96 and 74.